Mapletree and SCID celebrate the groundbreaking of SC VivoCity in Ho Chi Minh City, Vietnam. The milestone event was graced by both Singapore and Vietnam officials. 1. Mr. Chua Tiow Chye, Group Chief Investment Officer of Mapletree Investments Pte Ltd.
2. Mr. Paul Ma, Board Director of Mapletree Investments Pte Ltd.
9. Mr. Hiew Yoon Khong, Group Chief Executive Officer of Mapletree Investments Pte Ltd.
Ho Chi Minh City – Saigon Co.op Investment Development JSC (SCID), an affiliate of Saigon Co.op and Mapletree Investments Pte Ltd (Mapletree), a fully-owned subsidiary of Temasek Holdings, two leading corporations in developing and managing successful commercial and retail developments in Vietnam and Singapore today jointly celebrated the groundbreaking of SC VivoCity, a multi-experiential one-stop “family-lifestyle-destination” mall situated at Nguyen Van Linh Boulevard, Tan Phong Ward, District 7, Ho Chi Minh City, Vietnam. With a combined investment cost of USD 100 million from both companies, SC VivoCity forms part of Saigon South Place complex, a 4.4-ha integrated mixed-use development which also comprises modern grade-A high rise office towers and internationally operated serviced apartments, with total GFA of 267,000 sqm. The integrated development will be developed at a cost of USD360 million and is located in a district which sees a large presence of multinational corporations and expatriate communities. When completed, SC VivoCity is envisioned to be a “family-lifestyle destination” mall for middle to middle-upper class Vietnamese as well as expatriates living and working in Ho Chi Minh City. 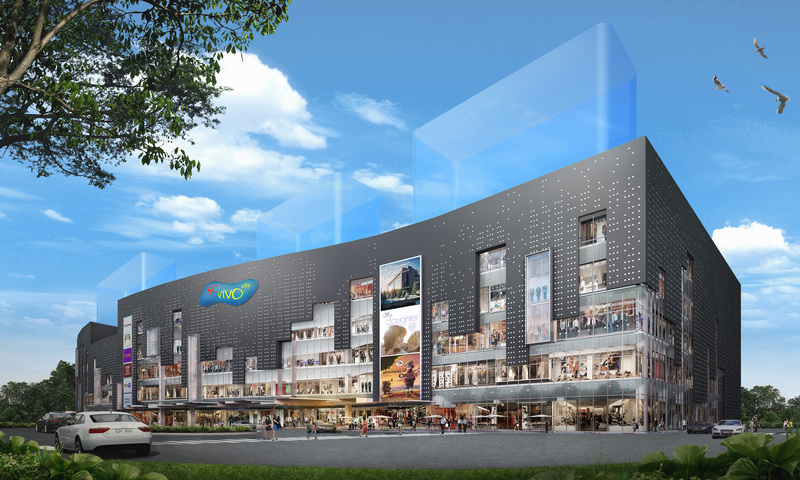 SC VivoCity will feature 72,000 sqm of exciting retail space spread over five storeys and a basement. The architectural and interior design are by HOK, one of the US’s and the world’s largest design firms. SC VivoCity embraces the successful attributes of Singapore’s iconic VivoCity mall, itself an award-winning and largest retail destination in Singapore. It also embraces the success in Vietnam’s retail industry with Saigon Co.op. 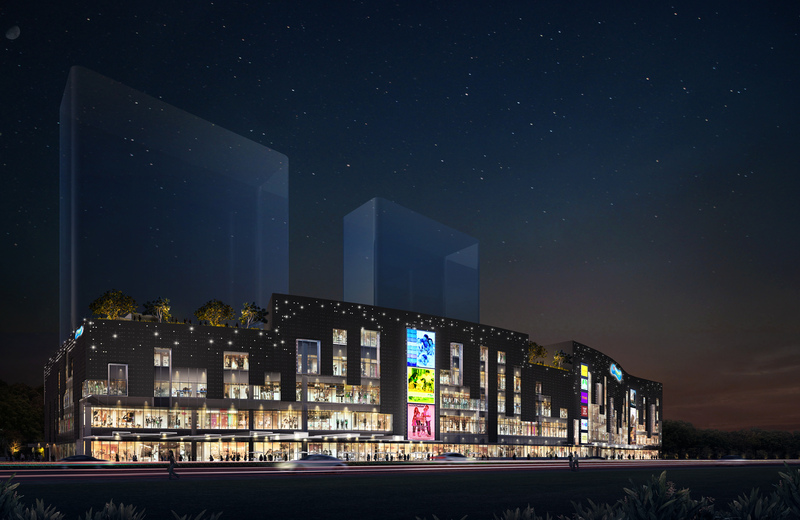 The mall will feature fashion retailers, a hypermarket, a cineplex, as well as lifestyle, entertainment, education and food & beverage outlets. It will further bear unique features such as a skypark and a children playground at its rooftop which will make SC VivoCity one of the best places for family entertainment. Saigon Co.op will collaborate with NTUC FairPrice Singapore to set up the new hypermarket, Co-op Xtra in the mall. SC VivoCity will be anchored by a hypermarket with an area of approximately 8,000 sqm in the basement. It will promise to meet customers’ demand by a variety of merchandises, competitive prices and excellent customer service. As cooperatives and top retailers in two countries, both Saigon Co.op and NTUC FairPrice uphold the social responsibilities to the people and the community. The perfect combination between Saigon Co.op’s retail experience and understanding of the Vietnam market and Mapletree’s track record in the development and management of successful shopping centers in Asia will certainly offer an international retail and leisure destination in Vietnam in the coming years. The groundbreaking event was graced by Vietnam officials including Mr Tran Tuan Anh, Deputy Minister of Industry and Trade Ministry and Mdm Nguyen Thi Hong, Member of Ho Chi Minh City Party Committee and Vice Chairwoman of Ho Chi Minh City People’s Committee. His Excellency, Mr Simon Wong Wie Kuen, Ambassador of the Republic of Singapore to the Socialist Republic of Vietnam and Mr Pong Kok Tian, Singapore Consul General in Ho Chi Minh City also attended. The keen support by related governments further underscored the on-going momentum of Singapore investments into Vietnam. The completion of SC VivoCity is scheduled for the first quarter of 2014. Saigon Co.op Investment Development Joint Stock Company (SCID), an affiliate of Saigon Co.op, Vietnam’s Top Retailer and Asia Pacific Top 500 Retailers, Saigon Co.op takes 85% shares. SCID has a primary mandate to develop Co.opMart supermarket chain and other form of commercial real estate such as mixed-use complex, shopping mall. SCID has invested and transferred 58 supermarkets to Saigon Co.op. By 2015, SCID will invest and operate 100 supermarkets, hypermarket and shopping malls in the country, develop other forms of commercial real estates and plans to expand its footprint across Asia in the near future. For more information, please visit http://www.scid-jsc.com. Mapletree Investments Pte Ltd, a fully-owned subsidiary of Temasek Holdings, is a leading Asia focused real estate development, investment and capital management company headquartered in Singapore. Its strategic focus is to invest in markets and real estate sectors with good growth potential in Asia. By combining its key strengths as a developer, an investor and a capital manager, the Group has established a track record of award-winning projects in Singapore and delivered consistent and high returns from across various real estate classes in Asia. Mapletree has invested in Vietnam with the following projects such as logistics parks in Binh Duong and Bac Ninh; Mapletree Business City @ Binh Duong and Pacific Place in Hanoi. Mapletree has plans to launch a Vietnam-focused private real estate fund in the next few years.